T-Mobile has confirmed that it will be offering up the eagerly anticipated Nokia Lumia 800 when it arrives on 16 November. Many networks and stores confirmed that they would be stocking the Nokia Lumia 800 when the phone was announced, but T-Mobile has taken its time to leap aboard the bandwagon. 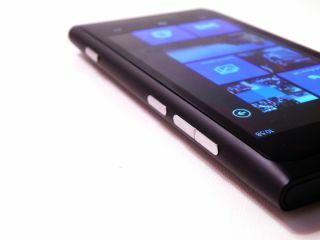 As TechRadar's hands on: Nokia Lumia 800 review suggests, the Windows Phone 7 Mango toting handset is a massive deal for both Microsoft and the Finnish handset giant, and the early indications are positive. The phone features a 3.7 inch OLED touchscreen with a 800x480 resolution, a 1.4GHz single-core processor and a distinctive design. The handset will be offered for no additional cost on two year contracts from £30 a month and up. Pippa Dunn, Chief Marketing Officer, T-Mobile UK, said: "The Lumia 800 is a stunning looking phone and will be a great addition to our handset offering in the run up to Christmas. "When matched with one of our flexible price plans, it is the perfect choice for those wanting the latest feature packed smartphone at an affordable price point."